These luxuriously smooth and sophisticated bed wraps are a great alternative to traditional valances, these luxuriously smooth and sophisticated bed wraps will add a sleek, modern look to any bedroom. 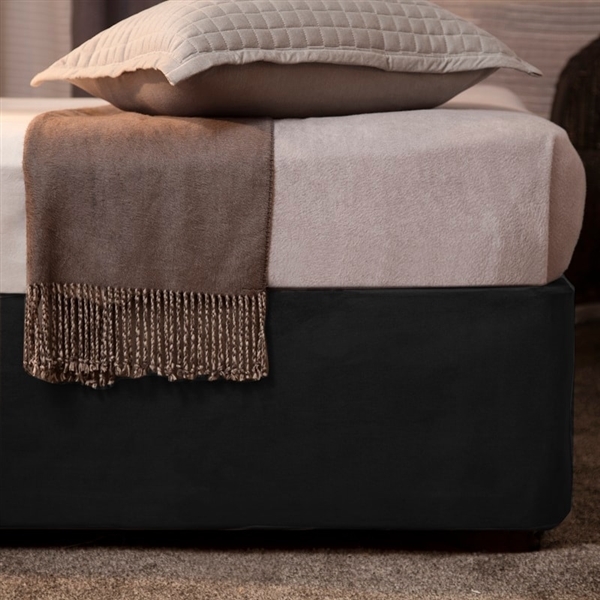 The faux suede fabric simply stretches over the bed base and is effortlessly held in place with elasticated edging. Available for single, double, king and super king bed sizes. Brilliant idea and an absolutely perfect fit.